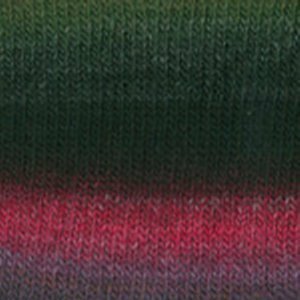 An absolutely beautiful self-striping yarn that comes in a plethora of color combinations. 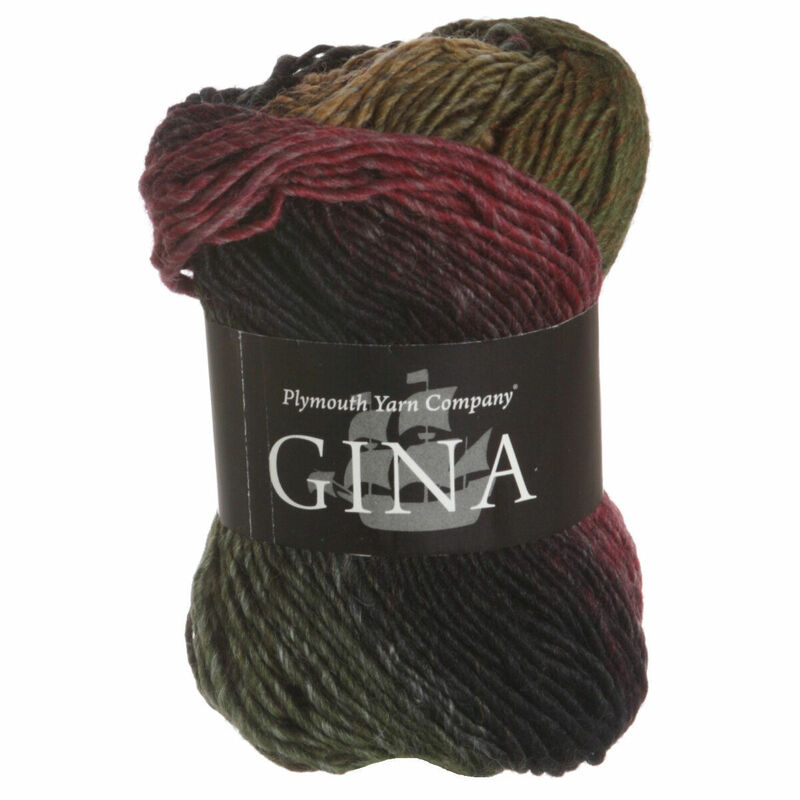 Gina is a great choice to use for a warm winter project. You can even use it to make some toasty felted slippers! 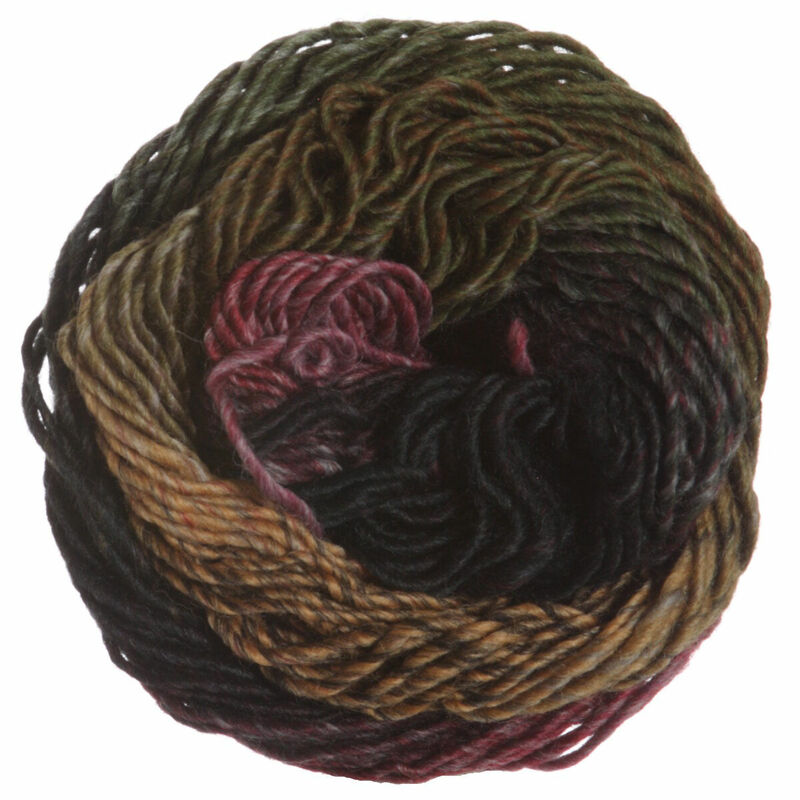 This yarn was fun to knit with and is perfect for the Ojo De Dios shawl. Glad I have some left over for another small project. I just finished a beautiful cable scarf with this yarn. It was my first experience with Gina. What a fun yarn to watch create a beautiful pattern and definition. The cables are crisp and shapely. This is great yarn, stripes beautifully and is very easy to work with - have already ordered a second batch for another vest! I found the GINA yarn easy to work with. I liked all the color choices there were! Among slow-color changing yarns, this one has great texture and drape and color sense that appeals to my eye. Quite consistent yarn not so much of the thick-and-thin that some yarns in this style have. Easy to knit. Even nicer after blocking. At a really sensible price, too!